Camposol cultural centre staffed again by the town hall. The town hall have appointed Antonio to be based at the cultural centre. 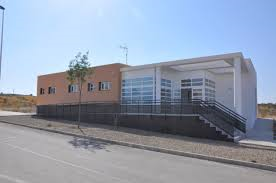 Antonio has said that he is not allowed to take Padron registrations and that Alicia (The mayor) will instruct a ‘funcionario’ (Town Hall employee) to go to the Centre one day a week to deal with the registrations on the Padron (probably a Thursday). Date to be confirmed. Antonio also said his contract will last probably until the elections next year.